On this Weebly you will find important information about our classroom and the school. Students and parents please check the site weekly for announcements and updates. WOW! I can't believe it, but the last week of Grade 3 has arrived. Words can't express how grateful I am to have been able to spend so many hours getting to know and teach your children-so thank you! We have a busy week next week. Students have worked hard to finish their work for their portfolios, prepare for Arch Day and get ready for ending the school year. We even had a special visitor (Mr. Javernick) to teach us about water treatment. As usual, they have worked tremendously well together through all of their group endeavors. Jeoparbee will be held on Tuesday and Thursday. A reminder that parents will not be attending this time. Students can find the word list here if they have misplaced it. Arch Day will be celebrated on Friday, beginning at 8:15 am. Parents-please join us! This year we are combining Arch Day with our Term 5 Assembly. Students, please wear your khakis and white polo shirts. Afterwards, students will return to the classroom to enjoy the house breakfast beginning at 10:25 am. Dismissal will be 11:20. Report Cards and MAP scores will be sent home Thursday. Again, my gratitude to everyone for an amazing and fun filled year. Thank you all!! Hello parents, it's been a busy week in Grade 3. Thank you again for the volunteers to make camping a great success. In class this week, students have been working on changes in the states of matter for science. In writing, they are working to publish their final piece. In reading, we are continuing our book clubs and in social studies, students have dug deep into the research on the Incas. A few reminders for next week. 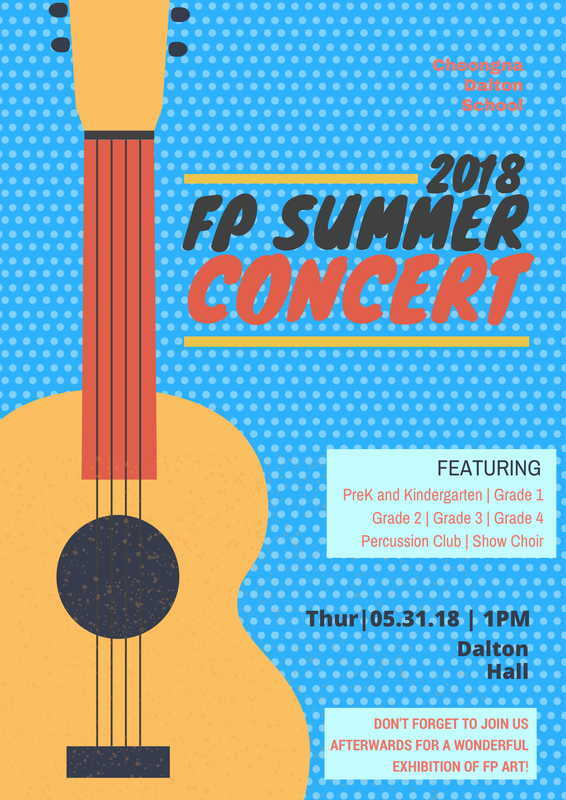 First, please join us on Thursday, May 31 for the Summer Concert. Students need to wear their khakis and polos. Girls, if you are wearing a skirt, please wear tights or shorts underneath. Don't forget to check out some pictures from the week. Enjoy your weekend. Happy Friday everyone! It's the day we've all been waiting for...camping! I look forward to all the stories and memories the students will bring home with them. A reminder that pick up is tomorrow morning at 9am in the green space. Students have been working hard to start term 5. They've explored states of matter, social issues in book clubs, geometry and a study of the Inca civilization. We have a busy few weeks coming up preparing for the summer concert, arch day and report cards. Also, while we don't have a date for Jeoparbee yet, I've given the word list to students. You can find a copy HERE to study at home. I am proud of their focus and hard work so far, keep up the great work! Just a friendly reminder that next Friday is Uniform Free Friday. Hello parents! Grade 3's worked like busy bees to wrap up Term 4 and begin Term 5 this week.Please ask your child to look at their portfolio to see all of their hard work. Portfolios (Google Sites) will be ready on Monday, May 7. This week we started some new units. In reading, students will be taking a look at 3 social issues: bullying, poverty and identity through book clubs. I am very excited to hear their thoughts during this term. In science we will start exploring the states of matter. In social studies we will explore renewable and nonrenewable resources. They will have their Unit 9 Math test on Monday. Students should review the worksheet sent home with them today. As we begin Term 5 I also wanted to extend a thank you to parents for your support. This class is truly a pleasure to work with. They are always respectful, smiling and eager to learn. Thank you! I am excited to have a fun-filled term 5 with this group. Enjoy this beautiful weather this weekend. Don't forget to check the FP Weebly for upcoming events. It was an eventful week! Students worked hard to finish their projects for the end of Term 4. Next week they will finish their digital portfolios (Google Sites) so be sure the look for them soon. We started the week with a visit from Grade 7 to read books they created about animal life cycles. Then it was an action packed few days. Students showed such great sportsmanship during Sports Day and had so much fun! I'm not sure who was more tired-teachers or students-but both had a blast. Thank you all volunteers for helping to making Culture Day a huge success. Be sure to look at photos in the "Kids in Action" section. On Monday we will celebrate our 150th day of school. Students may wear school spirit items-Jumping for Healthy Hearts, Jogathon or CDS Soccer uniforms. Also we will celebrate the end of the term assembly on Wednesday. Have a wonderful weekend. Happy Friday everyone, and what a beautiful day it is! We have wrapped up another busy week in Grade 3. Students have been hard at working writing and practicing their reader's theaters scrips on Korean folktales. They have also started making their props for their stop motion animation video about the solar system. We have a busy week of events next week, so be sure to check the FP Weebly for details. On Thursday we will have sports day. Students need to wear their team colors and bring their swimsuit and swimming gear. Click here for the team list. On Friday we will celebrate culture day. Click here for details about what students can wear to celebrate. Enjoy your weekend. Hello parents. It has been a busy few weeks getting ready for conferences and working through term 4. Students have been working hard on multiple projects in class. In reading, they have started writing their own readers theater based on Korean folktales. In writing they are getting ready to publish their Ebook. In math we did our first open book math test and have started unit 9. In science we went outside for a velocity experiment. Tomorrow I look forward to seeing everyone at conferences. Be sure to look at the pictures to see everything they have accomplished over the last few weeks. ​ Next Monday a high school class will be helping us with pictures. Grade 3’s will take their pictures in the afternoon. Please make sure they are wearing their Dalton Uniform (even though they have PE on Monday) for pictures. Not to worry, we’ll make sure they still look as beautiful and handsome as ever after PE class :) This means their khaki pants, white polo and blue cardigan. Thank you for your support. THANK YOU and WOW! These are the two words I have for the parents/students/teachers on making this Book Week so much fun! It was a busy week. To best see what students were doing, take a look at the Kids in Action page for pictures. Grade 3 students participated each day for the Book Week. On top of that excitement, they also worked hard to publish a brochure on an animal group, write a rough draft for their expert topic, and begin their studies on the solar system. Today we finished with a math test on Unit 8. The results of that test will be shared on Monday, April 2. There is no school next week (March 26-30). Please enjoy a restful time with your families. When we return check the FP Weebly for Parent/Teacher conference sign ups for conferences on April 13. Thank you for your support and for a great week. Enjoy Spring Break! What an exciting week we had! On Monday students started their new lab, on Tuesday we went to Job World and for the last 2 days we have been enjoying our time at the book fair-thank you PTA for the goodies! Grade 3 students were busy at work researching about penguins, dolphins and snakes in reading. In science we will begin our unit on the Solar system and we will study Korean folktales in social studies. Next week is also a busy week with Book Week! Please check the FP Announcements for detailed information. Have a great weekend. Writing: Students have chosen a topic that they are an expert on to write a nonfiction Ebook. Math: We began our study on fractions with some online games and partner work. Science: Students are working hard to create their own experiments to show different stages on the water cycle. Just a reminder that on Tuesday, March 13 we will travel to Job World. It is important students are on time to school that day (and everyday). Please click here for information. On Monday we start new labs and After School Program. The book fair will be on Thursday and Friday, March 15 and 16. See the FP weebly for more information. Don't forget to check out pictures from the week in Kids in Action. Last week of Term 3! It has been a busy couple of weeks. Students have worked hard to finish their work and upload it to their Google Sites. As homework for this week, I am asking for you to sit down with your child and take time to look at the hard work they have accomplished. They have their login information to look at their Google Sites. This week students finished their math games. Look at the photos to see the amazing work they accomplished! ​ Next week is the beginning of Term 4 which means the Grade 3's will also start swimming. On Wednesday they need to bring their swimsuit, goggles, swim cap and towel. Please see the updated schedule for Term 4 under "Schedule." PE will be on Monday and Wednesday, not on Friday. They need to bring their swimming gear every WEDNESDAY to school. They will have regular PE class on Mondays. A reminder there is no school Thursday and Friday. Have a restful weekend. I hope to see everyone at our Term 3 assembly on Tuesday, March 6 beginning at 9:15am. Great job everyone on the MAP test this week, it was a long week of testing but students pushed through, stayed focused and worked hard to finish 3 tests! This week students worked to revise and edit their opinion pieces in writing. In math, they finished Unit 7 with a test. In reading they worked on their main idea paragraph for their upcoming Book Trailer, stay tuned! For the Lunar New Year Break, I will be sending home a daily "sleep log" for students to complete. Please make sure they fill this out honestly and accurately so we can gather good information. Students will also be collecting donations for our Jumping for Healthy Hearts on Friday, February 23. Please help them by asking family and community members for their pledge. I hope everyone enjoys a safe and restful break. I will see you all when we return on February 19. Wow! What a busy week we had. I am so proud of the hard work by students this week. It was an action packed week. We started with JeoparBee on Tuesday. It was clear students spent time practicing their words, well done. Then we had Retro Spirit Day on Wednesday and finished with Library Day and our Final JeoparBee on Thursday. Thank you parents for joining us for another successful library day. Students were busy working on their persuasive essays this week and wrapping up Unit 7 in math. As a reminder, next week is MAP testing. Please make sure students are going to bed early each night and getting a good breakfast every morning. On Friday, February 9th we will celebrate Birthdays (Jaehyun) and Uniform Free Friday. Thanks for a great week everyone and enjoy the weekend. I hope everyone had a good week, we were very busy this week. The students did a great job. In math we started our new unit on multiplication. Students have been working hard to master their facts by doing a timed test two times each week. In writing they had some great conversation about which school rules should be changed. They wrote to their pen pals in Goshen, Indiana to learn some new information. In reading they worked through their nonfiction book by using Close Reading strategies. This was a brand new concept and they did great! Finally in science they designed, planned and carried out their own experiment about river formation. Next week is a busy week. JeoparBee is on Tuesday, January 30. Students please spend some time studying your word list to prepare. On Wednesday, January 31 students are invited to dress up in "Retro CDS" wear for the 100th day of school celebration. They can choose shirts from past events like Jumping for Healthy Hearts, Jogathon and past soccer uniforms as well. On Thursday, February 1 please join us at 1:00 pm for Library Day. A few Grade 3 students will have a presentation to share with you! Thank you for your continued support, stay warm this weekend! Check out some videos from science. It was a productive week in Grade 3. As a reminder, next Friday is Uniform Free Friday and birthday celebrations for Sophia, Julie and Ellie. This week in reading students started exploring nonfiction text by reading about Martin Luther King, Jr. In writing students are brainstorming school rules that they want changed for their opinion papers. In math we finished Unit 5 with a test on Thursday. In social studies students started thinking about our community in Cheongna to build a 3D puzzle. Finally in science we explored plate tectonics with an experiment. Remember to practice the Jeoparbee word list to get prepared and check the CDS Weebly for important announcements. Have a great weekend! I have sent home the Jeoparbee word list. Students should practice 1 category each night so they are prepared but not overwhelmed. They may also play the games on Wordly Wise 3000 to practice. Welcome back everyone! Grade 3's did a great job this week getting back into routines and sharing about their Winter Break. We jumped right into some exciting Term 3 projects. In reading, students worked on a nonfiction scavenger hunt. In writing, students are choosing a school rule that they want changed to write a persuasive essay about, let's see if I am convinced ;). They were all very excited to also start the cursive unit in writing and worked hard all week on their cursive books. We also watched videos from Pen Pals in Greeley, Colorado and will communicate by email with Pen Pals in Indiana. Students and parents, the Jeoparbee is coming up at the end of the month. To prepare, please spend some time each week choosing activities from the link below. On Monday, January 15 report cards will be sent home. Have a great weekend and stay warm! Check out our Pen Pal videos here! I hope everyone had restful, exciting and fun filled winter vacation! I am so excited to see everyone back at school tomorrow. Parents, I know you will miss the kiddos but I'm sure you're just as excited to see them leave the house. *the changing Earth-earthquakes, volcanoes, typhoons and more! *school rules-which should we keep? Which should we change? You'll tell me in a persuasive essay! I look forward to seeing everyone tomorrow. Enjoy a restful Sunday together as a family. We made it! Congratulations to students, parents and teachers for all of the hard work in the first two terms. Now I hope everyone has a relaxing Winter Break. I have sent the homework packets home, and many students also have homework from ELL and Korean Class. It is best to spread out the work to do a little each day. A little practice consistently is much more effective that trying to finish all of the work at once. Students should maintain a habit of daily reading and math practice as well. Yesterday we celebrated with the Winn Dixie Party and today we will finish with the Candle Lighting Ceremony. Students are dismissed at 11:20 and the buses will depart at 11:30. Please look for the Google Sites (Term Portfolios) for your child to see what they have worked on for Term 2. In Term 3 we welcome Vika to our class. Thank you for your support and have a wonderful break! Thank you everyone for joining us at the Winter Concert. The students did an outstanding job. This week I introducted the concept of Mindfulness to students. Please check out the resources below for more information. We have been talking about healthy stress vs toxic stress and practicing strategies to use for when our emotions get close to being out of control. This is a great practice for students and adults. Take a moment to watch the "Just Breathe" video and discuss it with your child, they have seen the video in class. Thursday, December 14-Winn Dixie Character Breakfast. Please read here for more information. Friday, December 15-Candle Light Ceremony. We will enjoy a breakfast in the morning as a class then attend the ceremony. Students will be dismissed at 11:20, buses leave at 11:30. Reading-Students continue their reading groups as we are almost finished with Because of Winn Dixie. They are getting ready for the Winn Dixie party for the last week of Term 2. Also, students remember to read nightly to meet your AR goal. Congratulations Jin for meeting his already! Writing: Students published their first story on Storybird. We will share these with parents next week. They have now started a second fairy tale. Math: We are finishing up Unit 4 on multiplication and division strategies. We will take a test next week. Science: Researchers are finished and have started working on a google slide presentation about their ecosystem. Next week they will start building a 3D model. Social Studies: We have a 5th grade class to chat with! Students in Greeley, Colorado will be communicating with Grade 3 students using Seesaw video. Our goal is to learn about each other's cultures. Have a great weekend everyone, stay warm out there! Hello everyone. Today the students had their first practice for the Winter Concert. Everyone sounded great! Grade 3's did an especially great job listening and being patient. In order to practice next week, please send the student's costumes to school on Monday December 4. Students will not be wearing them to school,so they can bring them in a bag or their backpacks. There costumes are a long sleeved black or brown shirt and black or brown pants or a black skirt with black tights. Thank you for your help. I hope everyone enjoys an extra day off this weekend. Grade 3’s were busy as usual as we approach the end of Term 2. Please read the concert letter here about the upcoming winter concert. They have taken a great interest in the Civil War. Although we do not study the Civil War in social studies, I was excited to see how many students were interested in the history and issues around it. On google classroom they can find various websites and videos to continue with their curiosity. A look back at the week: In reading, we continue with Because of Winn Dixie and students chose a character to study. At the end of the term we will have a character lunch to celebrate. In writing, they have moved on to publishing their stories on Storybird. We will share with parents as soon as they are finished. In math students are working on measurement and division strategies. In science we transformed into birds to explore which one of our beaks worked best to eat with. Many students have been missing homework assignments lately. While I do not assign a lot of homework, it is important that you talk at home with your child about the importance of building habits. They should have a quiet place at home to complete their work and have a system for where to put it when they are finished (the best place would be their backpack ). I will always post the nightly work on Google Classroom. Thank you for your continued support. Enjoy the long weekend and I will see everyone on Monday. We had another great week of hard work from the students, great job everyone! I want to applaud them for the responsibility in working together. We do a lot of group work and so far students have been doing a great job. As a reminder, next week we do not have school on Friday, November 24. Dismissal on Thursday, November 23 is at 12:55 pm. Parents please plan accordingly. We worked on multiplication and division strategies in math and students took their first timed test. In writing they are working on revising and editing their fairy tale and discovering it takes a long time! For reading we are continuing our study with our novel and getting to know our characters. In science researchers are becoming experts on their ecosystem. In social studies students are studying Korean customs to share with their pen pal. Attached is a letter explaining the project. Thank you and stay warm this weekend! Week 12-Wow how times flies! In reading, we are diving deep and getting to know the characters in Because of Winn Dixie. Students have been working in reading groups to understand the book. In writing, fairy tales are coming alive! Students are adding detail to their fractured fairy tale. In math, they took the Unit 3 test. Results will be coming home this weekend. In science, they are researching information about their chosen ecosystem. Finally, in social studies, students are very excited to start a video pen pal with someone from the United States! I will be sending home more information next week. The weather is getting colder, so make sure that you are sending students to school with warm clothing. Also, check the FP Weebly for lab results. Have a wonderful weekend! It was such a fun week at CDS! Students participated in Spirit Week and we took a trip to the Seoul Zoo. As we began Term 2, students started new units. In reading, we began our novel study with Because of Winn Dixie. In writing, we are reading fairy tales to start writing our own fractured fairy tale. In math we are continuing with perimeter and area. In science we are starting a unit on Ecosystems and will be working hard to host an ecosystem mobile museum. Please be sure to check the Kids in Action tab to see all of the fun this week. Parents, it's conference time! Please click here to find my name then sign up for your time. I look forward to speaking with all of you. Week 9-The beginning of Term 2!! 10/25 Pajama Wednesday-Wear your favorite PJ's and bring a stuffed animal for a movie in the afternoon! 10/31 Halloween Come dressed in your Halloween costume for trick or treating! Enjoy this beautiful fall weather! See everyone on Monday. Wow! Thank you everyone who came out for Jogathon and Fall Fest, it was a busy and fun filled day! This week was very busy in Grade 3. We are wrapping things up to end Term 1, which officially ends October 18th. I look forward to seeing everyone for the Book Tasting event at 1:30.In reading and writing, students worked hard on their portfolios and preparing for Monday’s Book Tasting event. In math, they worked in partners to identify personal references for measurements. We used our feet, fingers, fingernails and arms to get an idea of estimating length and width. In social studies, students gathered their materials and started building their 3D Topographic maps of Korea. This week they will present their final product. On Thursday and Friday this week we will be going to the Fall CDS Book Fair. Next week we will take a field trip to the Seoul Zoo. Please click here for more information. Happy Monday and I hope everyone has a great week. Reading: Students began working on gathering evidence for their portfolio and Book Tasting event. This week’s focus was on theme. We read The Snowman and each student had the chance to narrate a page of the story. Writing: Students worked hard to publish their first seed story (personal narrative). We celebrated with a publishing party outside on Friday. They will be taking stories home soon to share with you. Math: We finished up Unit 2 with a test (which will be taken home at the end of the term) and practice solving word problems written by classmates. Science and Social Studies: Students got very used to internet research this week. They watched videos, read through websites and used maps to locate and record information. It was a great example of how well technology works in the classroom. Reading: We worked through our "Book Tasting" books to practice the comprehension strategies. We read Anansi the Spider and A Sick Day for Amos McGee to look at how fiction stories are organized. Students started tracking their own comprehension strategies with the help of post it notes. Writing: As we get closer to end of the writing process, students worked in a group to create a rubric to score their writing. It was a hard task, but they worked through it well! Math: This week's focus was on solving addition and subtraction number stories. Students made their own number stories for their classmates to solve. Next week we will have our Unit 2 test. Science: Students worked on plant life cycles to make their own plant fold-able. We explored the different plant parts and functions. Social Studies: Google Maps was our best friend this week as we found ways to get satellite images of Cheongna and each of our houses, pretty cool! Our focus was on the geography of South Korea and different land features. Students don't forget your writing journal homework this weekend. Enjoy another beautiful weekend outside. MAP Testing is finished! I am happy to say that most of the students worked extremely hard and stayed focused for each of the tests. I will take a deep look into the results over the next few weeks to best understand what your child needs the most support with. Students are excited to start preparing for the Grade 3 Book Tasting event. More details will follow soon. Reading: Students worked on more comprehension strategies with a focus on summarizing and theme this week. In writing, students began to use “T.A.G.” the peer edit their work. Next week they will start to publish their narrative stories. Math: We looked into number patterns and in/out boxes. Students were challenged to find tricky number patterns involving addition and subtraction. We are back to a regular schedule next week. Have a wonderful weekend and enjoy the beautiful weather. As a reminder this week we have MAP testing. No extra studying is needed, just make sure to send your child to school every morning with a good night’s sleep and a healthy breakfast. Quality sleep, good breakfast=Happy Test Taker We will be testing on Monday, Tuesday and Thursday. Also, Library Day is coming up on Wednesday, September 13. Check the FP Weebly more more information. Reading: We continued our comprehension strategies by talking about making inferences. We had a lot of fun inferring what could be inside a stinky, black trash bag. After talking about inferences, students practiced using their interactive reading notebooks. Students also took their first STAR reading test. This is another way for both students and myself to get information about book levels. Their STAR reading level correlates with the AR level and will reflect what books they should be choosing during library checkout. Writing: Ask your child why they had to call the COPS! Not to worry, it is just a strategy we use to correct the punctuation and grammar in our writing. Students worked with peers this week to start the editing and revising steps for their seed stories. Next week, they will publish and start the process again with a new seed story. Math: Students completed their Unit 1 test and worked on their first try with Math Mentors. Different students had a chance to teach their peers about mistakes that were made on the math test. Next week we start Unit 2 on fact families. Social Studies: We focused our learning this week on the 7 major continents and started to get information about each of them. Students are working to put together a map fold able that includes all of their learning. Don’t forget to get a good night’s sleep (parents and kids) and have a great week! Reading: We explored thick vs thin questions and students asked some very high level questions using our read aloud Where are you going Manyoni?. We have also started our guided reading groups with a few chapter books from the Horrible Harry series. So far each group has worked hard to focus on building their reading skills. Writing: Students learned this week that writing a story is hard work! Our new quote “When you think you’re done, you’ve just begun!” We worked to build our seed story using an exciting beginning and adding a lot of detail to the middle. Math: Math stations have worked very well. Students have been using Arcademics, Xtra math and the Everyday Math Journal to strengthen their skills. This week we worked with coins from the US and created a pictograph. Students learned a few math rhymes (ask them what the ‘range’ is!). Science: Since math stations worked well, we have used stations to explore living things and life cycles in science. The focus this week was on vocabulary. Next week students will start choosing an animal they want to research for a life cycle project. Social Studies: Our unit on maps and map skills led us to start a map “lapbook” project. We discussed the 7 continents and 5 major oceans and started a mini research project about each of the continents. As a reminder, students have a math test for Unit 1 on Tuesday. Don’t forget to check the FP Weebly for upcoming events. I hope everyone is enjoying the beautiful weather this weekend! Parents, please not that students have PE on Thursday this week instead of Wednesday. Students should wear their PE Uniforms on Monday, Thursday and Friday. Students remember to bring your recorder for music class on Tuesday. Reading: We are exploring “Reading is Thinking.” Students began to look at each of the comprehension strategies-visualize, predict, infer, question and summary to deepen their understanding. Each day they practiced a strategy using post it notes to track their thinking. Writing: Writers started their plan/prewrite for the seed story. They have many interesting stories to tell, so it was hard for some to pick just one! We had a lot of laughs telling each other about our experiences. Science: The highlight of the week was the Save Fred lab. In this activity, students were challenged to save Fred (a gummy worm) using a lifesaver (gummy ring) and a great deal of communication and teamwork. Social Studies: Maps all around! Students began exploring maps, globes and starting to understanding their location in the world around them. We reviewed the 4 cardinal directions and 5 important map features. Ask your child if they can recall all 9 important terms! Math: Students have worked hard this week to develop a routine for math stations. They also worked through our daily number talks, in which we discuss many ways to solve one problem. Unit 1 will focus on a review of core concepts including subtraction, addition and telling time . 1. Back to School Afternoon: Wednesday August 23 2-4 pm. Parents, please bring in your tablet, phone, laptop if you need help logging your child into Biblionaisum, Google Classroom or any of the websites we have used in class. We will be using technology a lot this year, so I want to make sure your device is set up. 2. Uniform Free Friday: August 25. Reminders, students please bring 1,000 won if you do not wear your school uniform. 5. Students please bring all supplies by tomorrow, August 21. Check out what's going on in our classroom under the Kids in Action tab. Thank you and here's to a great year! Welcome to Grade 3 at CDS! While I know many of your bright and smiling faces already, I can't wait to see what this year will hold for Camp Javernick. To prepare for the first day of school, please check the supply list tab located at the top of this page. Students will have PE on their first day so they will need to bring their indoor PE shoes. On the first day, please send students to the Green Space between 7:45-8:00, starting on August 16th. I will welcome students there so we can begin an exciting school year. As always, please feel free to contact me (jjavernick@daltonschool.kr) or the front office if you have any questions. Thank you and I am excited for a great year!